Many business owners thinking of starting up a new restaurant or cafe in Adelaide find that the initial costs of establishing the business can be too restrictive. Purchasing durable hospitality furniture to seat sufficient numbers of patrons only adds further to the associated costs. However, it is possible to refurbish a new bar or restaurant very cost-effectively by using the innovative Rent-Try-Buy program. You get the advantage of fitting out your premises with stylish, modern furniture without the initial outlay required to purchase those items upfront. Renting the commercial furniture you need could be the ideal solution for keeping start-up costs to a minimum. 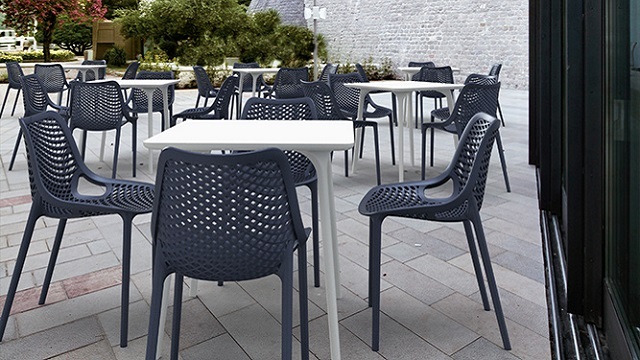 It’s ideal for any business owner wanting to ensure that a new hotel, bar, restaurant or cafe has the right furnishings to suit the theme or ambience you want without the initial costs. It also means there’s no need to compromise on quality. With Nextrend Furniture, you’re able to choose from an extensive range of high quality, stylish furniture to suit your intended atmosphere or design. As any new business owner will know, cash flow is the lifeblood of any business. Spending large amounts of money on capital purchases to establish the business in the first place can leave the coffers looking extremely bare. This can be detrimental to the success of a restaurant, especially if there are still suppliers and other creditors to pay each month just to get to the point of opening the doors for business. By comparison, choosing to rent stylish cafe chairs and tables offers the ideal way to keep capital costs to a bare minimum. This leaves more money in the coffers to act as a buffer to cover other vital expenses until patrons start frequenting the establishment and churning a profit. Of course, purchasing new restaurant furniture can offer plenty of tax benefits to a new business, but there may also be comparable tax advantages to renting. The affordable monthly payments you make on your rented furnishings are fully tax deductible, making this an even more cost-effective option for many businesses. The Rent-Try-Buy agreement available throughNextrend Furniture allows you to rent your cafe or restaurant furniture for up to 2 years. At the end of the rental agreement, you have the option to purchase the furnishings you’ve been using in your establishment at a reduced price. In fact, there’s a rebate of up to 75% available if you decide to purchase your rented furniture within the first 12 months of your agreement. However, if you decide that the tables and chairs you chose at the beginning of your rental agreement no longer suit the decor within your establishment, you can choose to update to new furniture styles instead. You simply return your originally rented furniture and choose new pieces based on the style and design you prefer. It’s up to you whether you continue to rent those items or whether you want to purchase them outright from your commercial furniture wholesaler. Why Choose Nextrend Furniture as Your Wholesaler? 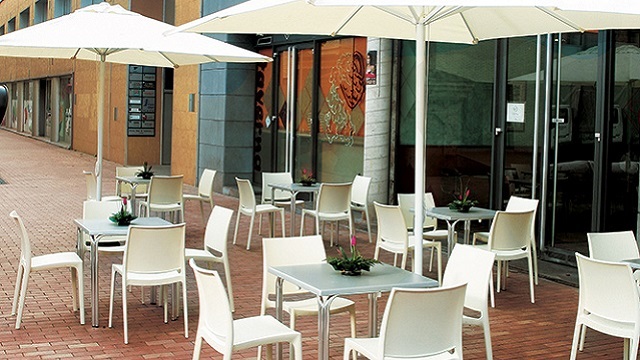 Sourcing good quality furniture to suit the hospitality industry is important. Not only does the furniture need to be durable enough to withstand constant traffic, but it also needs to be stylish enough to suit the decor of your establishment. Aside from those considerations, it’s also vitally important to ensure that you’re accessing your furnishing needs from a reputable wholesaler. You want to know that the wholesale company you work with maintains a large stock holding at all times so that you can order as much as you need to and be assured that your order can be fulfilled the very next day. This is where Nextrend Furniture excels. They’re renowned for their first-class customer service and they strive to make the entire process of fitting out or refurbishing any cafe, restaurant, bar or hotel in Adelaide as easy as possible every step of the way. Call the friendly team at Nextrend Furniture today and ask for a free quote for your furniture needs. They’ll even be happy to discuss your options if you prefer the idea of renting your furnishings to help you get started.